Many units intended to be a first microscope are a little too advanced for the younger crowd. 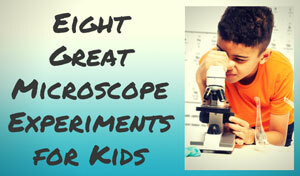 The Educational Insights GeoSafari Talking Microscope makes a nice introduction to microscopy for kids under eight. 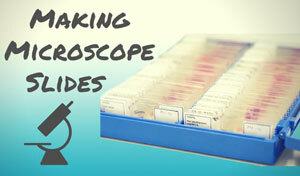 Although simple, it offers some interesting features that make it a fun toy for new microscope users. Unfortunately the GeoSafari Talking Microscope, while fun, may not hold your child's interest for very long. It only comes with and talks about the twelve included slides, so once your child memorizes those he or she may get bored. Thus we recommend this kids microscope for schools or someone with multiple children, as the replay value for just one child isn't that great. This first microscope is designed to encourage the interest of younger users. The twelve slides are pictures of different residents of the insect world, meant to provide a fun learning experience. One big plus for young kids is that the GeoSafari actually talks to the user. They can hear all the pertinent information on the specimen that they are viewing. If users select the Fact Dial, they can hear even more bug facts. The additional Quiz button is a great way for kids to test their knowledge of each slide. Most users were happy with the overall construction, yet others had a problem with the control buttons. It seems some young children had a hard time with the viewer, as keeping one eye closed was an additional challenge. 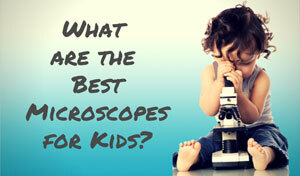 Although this first microscope is a fun toy, parents have had a few complaints. First of all, the slide storage case is not part of the unit, so slides tend to get lost between usages. By far the most complaints have to do with the slides themselves. The set only comes with twelve original slides, and Educational Insights does not offer additional slide sets. Lost slides aside, most kids become bored with the toy once they have learned the facts on the twelve slides. Additionally, the prepared slides that come with it are pictures and not actual specimens. While this makes them safer for younger viewers, parents may be disappointed. The pictures are of decent quality, but still not as good as the real thing. Some younger users also found working the buttons hard and subsequently lost interest. The volume and clarity features usually work okay, but the additional feature dials proved to be problematic. 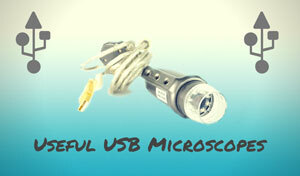 This first microscope is really more of a toy than a tool. Although the structure should withstand use, the limited number of slides available will hinder the longevity of actual usage. If Educational Insights were to produce more slides for this set, it would be a fantastic product for tiny scientists. It's a cute and entertaining kids microscope, but the lack of slides means that it will only hold a child's interest for so long. Recommended for: The GeoSafari was designed for young scientists from ages five to seven. Parents who have younger children in the wings would probably benefit the most from this purchase. 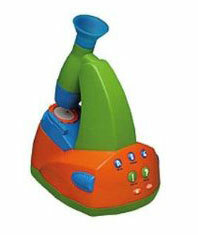 Once one child loses interest, this microscope can be passed down the line. 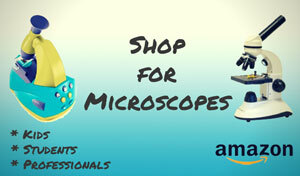 Buy the Educational Insights GeoSafari Microscope at Amazon!